Most of us have favourite books that we can read over and over again and never get tired of. Here are a few that I have read so many times I could probably tell you the entire book without having to refer to the book once. 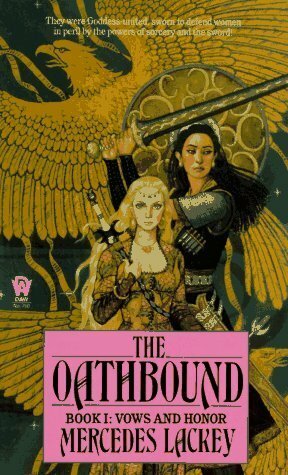 The Oathbound by Mercedes Lackey – Okay, so I might be bordering on obsession with this book. I wrote about it a couple months ago for Best Friends Day. This is one of the very first adult books I owned, and it has been a constant companion for me over the years. It began my love of Lackey’s books, and now I have reread this book so many times that I’m a bit worried that it will fall apart on me some day. 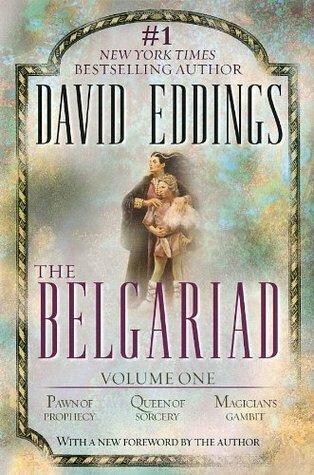 The Belgariad by David Eddings – I have to list this entire series, because I never just read one of them. My parents tried to get me to read these books for years before I finally gave in. I read their copies many times during my teen years, and finally got my own set about 5 years ago. I introduced many of my friends to reading fantasy by letting them borrow these books. I’m just glad my parents didn’t mind. 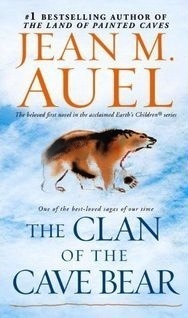 The Clan of the Cave Bear by Jean Auel – This is another series that was in my house as a kid but didn’t get touched until I was desperate for reading material. When I finally read them only the first four had been released, and I eagerly awaited the day when the author would finally publish another book. Sadly, I wasn’t as happy with the books that followed, but I continue to read the first four every couple of years. I have even watched the movie more than a few times. 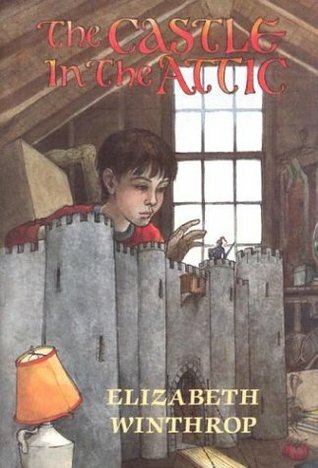 The Castle in the Attic by Elizabeth Winthrop – I’ve mentioned this book in other lists as well. If there was ever a book that defined my childhood, this would be it. Although I originally got this book when I was in Grade 5, I reread it at least once a year until I went away to university. I left it behind with my parents, but now finally have it back in my possession. I don’t think I will ever get tired of reading this book and sharing it with others. 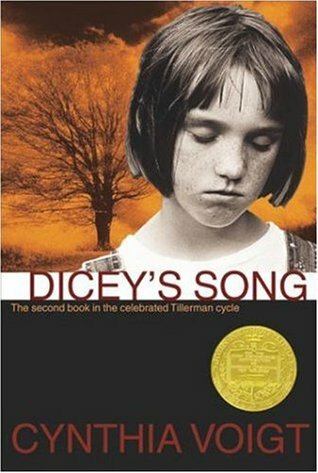 Dicey’s Song by Cynthia Voigt – When I started reading fantasy books I basically stopped reading all contemporary fiction for my age. When I was assigned this book in school I assumed I would hate it. Instead I fell in love with the characters, especially Dicey, who I felt a kinship to like no other character then or since. She is the oldest sibling in a family that she is desperately trying to keep together. Her early maturity really resonated with me. Other than the Harry Potter books (come on, dig deep people!) which books have you read more than once? Do you know how many times it has been? Do you read the entire series, or just certain books? – The Color of Magic I have read… why too often. And the one after that but I just can’t remember the title now. Embarrassing. – A lot of books by Raymond Feist I have read countless times, too. I want to read the whole series again soon. If I had enough time for that. – Tokyo Year Zero (David Peace) I have read twice. – The Elven (Bernhard Hennen) thrice. The ones after that not… I wonder why. – The Black Magician Trilogy (Trudy Canavan) I have read twice as well. I plan on a third time soon. Fantasy is more fun reading more than once than thrillers for example. Although a lot of them I read twice as well. Interesting list! I hadn’t heard of any of them. I’ve read the ‘Tales of the City’ books by Armistead Maupin over and over. I’ve also read the ‘The MADD Addam Trilogy’ by Margaret Atwood multiple times. There are others too. I used to re-read a lot but not since my TBR post got so long. I might borrow this idea for my blog if that is okay! I’m in the same situation with my TBR list. I haven’t had a chance to reread some of my favourites in a long time. The Maze Runner series is one of my favorite rereads. Especially when I am in a reading slump. I definitely recommend them. I am really loving your blog!Will consume it whole when i get my wifi in order. Thank you!I wish the same hehe!